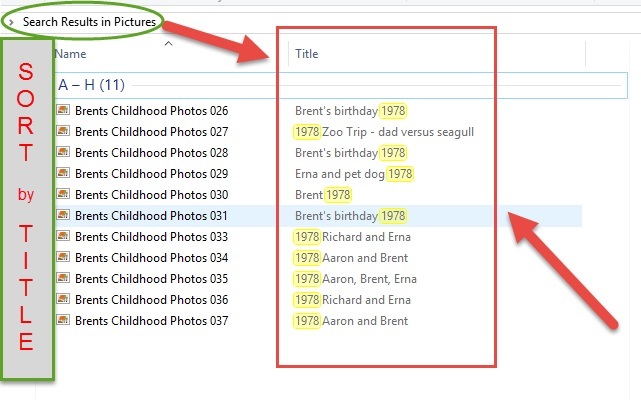 Modern digital photos and "tagged" scanned photos can be searched and sorted in Windows File Explorer. When batch scanning photos, ScanSpeeder lets you add a tag to your scanned photo, with its caption feature. The details you write in the caption field becomes tagged to the photo. This tag is saved in Windows and called the photo's "title". The photo's title is both searchable and sortable in Windows File Explorer.